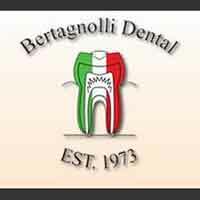 Whether you have a dental issue or just need a regular exam, the dental health professionals at Bertagnolli Dental can diagnose and treat any issues you may have. You will benefit from our dedicated team of trained professionals. As a dental office in Westminster, we are dedicated to giving you the personal attention you need for the best in dental care. We are a family dental practice with a comprehensive list of general, restorative and cosmetic dental care services to meet the needs of your entire family. We recognize that going to the dentist can be a fearful experience. For those patients we provide sedation dentistry for their comfort. Choosing the right dental office can be a difficult. We offer a full range of services using state of the art techniques for your entire family. Call us today when you are looking for a dental office in Westminster.